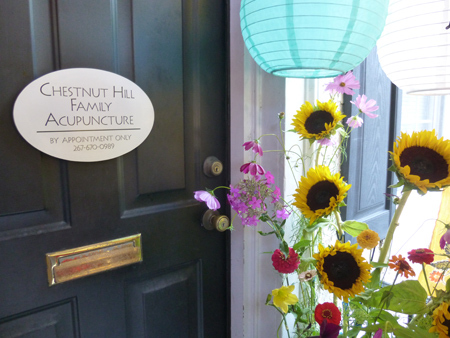 At Chestnut Hill Family Acupuncture, Jan Wilson provides healing care to people of all ages. Jan’s practice offers acupuncture treatments, nutrition counseling and lifestyle guidance, targeted to your immediate health concerns and strengthening of your unique physical, emotional and spiritual constitution. Whether you are dealing with complex health issues, seeking relief from stress, or hoping to improve your general well-being, Jan will work with you to find the most effective treatment and course of action. Chestnut Hill Family Acupuncture delivers the utmost in individual care and clinical excellence. Jan Wilson is registered to practice acupuncture by the Pennsylvania State Medical Board. She studied at the Won Institute in Glenside, PA, as well as in China at the University of Nanjing’s Traditional Chinese Medical College and the Jiangsu Province Hospital. Jan is proud to be a local business owner and loyal member of the Philadelphia business community for going-on 24 years. Jan is currently accepting new clients and welcomes you with a full heart. Please click here to schedule a consultation.